DASH is an award winning rockin’ soul band with a desire for honest and entertaining lyrics. Founded in February 2018, DASH began writing songs together with a passion for getting people out on the dance floor. The Bozeman, Montana band brings their dance party vibe to any stage with a wild blend of funk, soul, rock, and pop. In their first year as a band, DASH wrote and recorded their debut full length album, ‘SUPER’, and began touring throughout the Northwest. 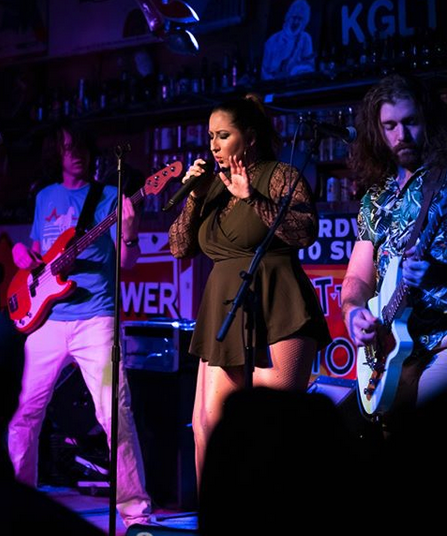 In 2018, DASH was voted Best New Local Band, #2 Best Local Album Released, and was the only band less than a year old to place in the Best Local Rock Band category. DASH hits the road in 2019 to bring their brand of party soul rock to a city near you.